I know… I might have gone a little overboard with that title. No, no I didn’t. You guys need to stop judging me. I am my own woman and I can write what I please. That title seems perfectly fine to me. Now, enough banter. I am not here to argue. Well, maybe I am! No, no I’m not. 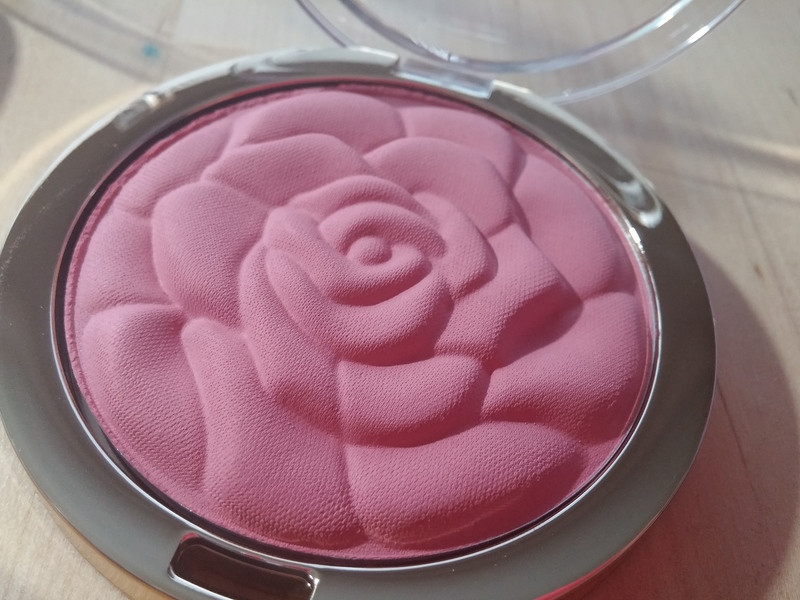 I’m here to tell you fantabulous people about these gorgeous rose blushes by Milani. I first saw these back in October of 2014. I only found Tea Rose. I mean, that was the only blush left in the entire section. No other blush from the rose line was left. It was desolate. Barren! The entire Milani section of I want to saw Walgreens had been scavenged, picked over, and over by makeup beasts. It wasn’t until late February (or the first week of March) that my ravishing friend Melissa Creamer discovered CVS had these and got them for me. It was by complete and absolute chance. You guys cannot even begin to believe how much I love this woman (who is also an amazing jeweler who I need to tell you all about cause she made me this OUT-OF-THIS-WORLD star ring but that’s a tale for another day). Finally, after months of me stalking the Milani section of every other drugstore I knew sold their products, I had my grabby little paws on some of these blushes. Everyone… I am not disappointed. I don’t think I’ve told you, my beautiful unicorn readers this but my middle name is Rose. I wanted these because I, personally, never really felt that I lived up to that name. The older I become, the more I feel that I am in fact a Rose and my mother blessed me with a wonderful middle name. I wear it proudly and now I wear it proudly all over my cheeks. These colors are incredibly stunning and versatile. I’m in love with Romantic Rose in particular which is a more of a classic kind of mauve. It’s a deeper pink with I’d like to say a vintage twist. It makes me think of blush that maybe my grandmother would have worn when she was younger. Not that it’s a granny blush, at all (nothing wrong with grannies, grannies RULE!). The other two are spectacular as well but also a bit brighter. Coral Cove offers more of a peach flush (duh, friggin’ coral!) but it isn’t too peachy, I know I hate it when I look like a Oompa Loompa. That look works for no one but the Oompas. Tea Rose is just perfect. It’s my go-to blush. I can wear it every single day and not grow tired of it. It’s not heavy, cakey, and it isn’t shimmery which makes it the perfect color to go with any outfit. If you’re on the market for some inexpensive yet absolutely stunning blushes, do not even think twice about getting these. They are just worth every single penny. I am in love. I stare at my pretties. They are my poopsies. Look at them looking all smug and gorgeous. They have every right to be. They’re stunning. How dare they? Swatches! Coral cove in the middle, Tea Rose to it’s right, and Romantic Rose is on it’s right. Got it? You confused? I thought you might be. From bottom to top! Romantic Rose, Coral Cove, and Tea Rose. Dang straight you write what you please. It’s your blog and you write what you want to! You’re hilarious and now I’m well confused lol those blushes are gorg!! You’ll love them! I hope you can find them. Milani has them in stock right now but I’d hold out to get them at a drugstore. Usually Walgreens or CVS have them on sale.